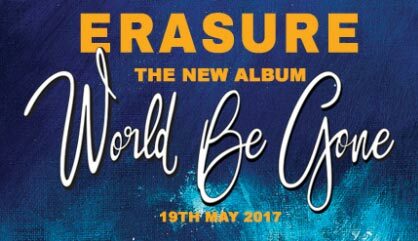 The 17th album by British duo Erasure ‘World Be Gone‘ will be released 19th May 2017 on Mute. ‘World Be Gone‘ will be available on CD, Vinyl (with download code), Limited Edition Orange Vinyl (with download code), Cassette (with download code) and via Digital Download (iTunes here). There are various exclusive bundles to pre-order now at ErasureStore. 500 CDs will be autographed by Vince Clarke and Andy Bell – pre-order at Erasure Store before 12th May for a chance to get one. If you pre-order your CD or LP before 7th April, your name would printed in album artwork. 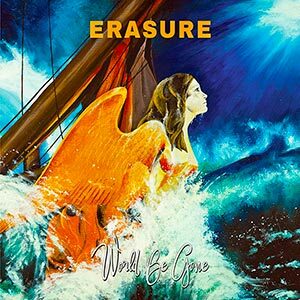 ‘World Be Gone’ features ten new tracks written, performed and produced by Erasure and was mixed by Matty Green. – Be Careful What You Wish For!